that carries beads, jewelry, fossils, crystals and more. (location info has been updated). it difficult to find for those of us who are not regular shoppers there. 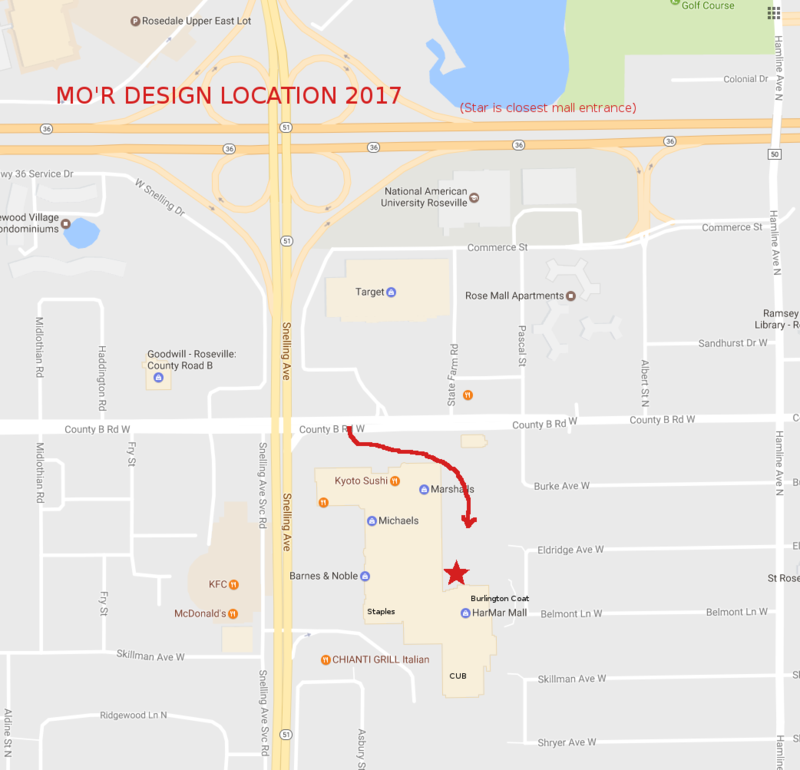 The red star is the Mall entrance closest to Mo'r Designs. See details below. Note that you can enter thru CUB grocery store but the CUB to Mall door closes at 8pm. your sources for beads, jewelry, fossils, crystals, and more. hallway between Burlington and Staples.